June 24, 2016 January 14, 2017 HandheldPlayers 0 Comments 2016, Action-Adventure, Character, June, LEGO, LEGO Star Wars: The Force Awakens, PS Vita, PS3, PS4, Release Date, Trailer, Warner Bros. Entertainment Inc.
Warner Bros. Interactive Entertainment has released a new video in a series of LEGO Star Wars: The Force Awakens character vignettes spotlighting Rey, the Jakku scavenger who finds herself drawn into a galaxy-spanning conflict between the Resistance and First Order. 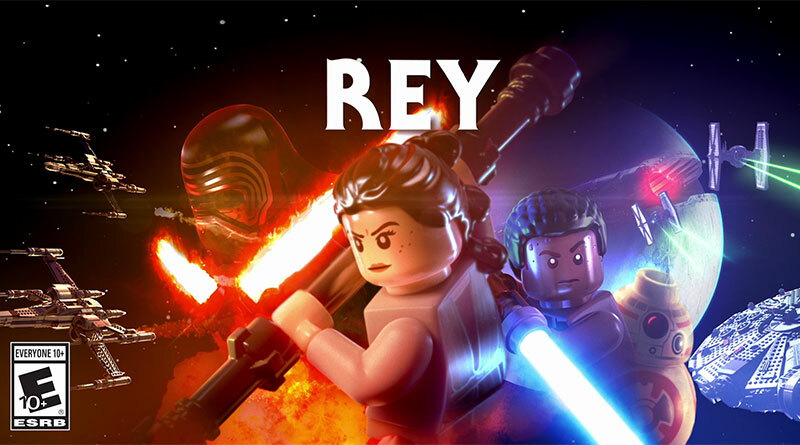 The video showcases Rey’s LEGO character in full form through key gameplay moments, cinematic cutscenes and authentic audio, all with signature LEGO humor. The vignette also features original dialogue recorded by actress Daisy Ridley, who plays the role of Rey in the Star Wars: The Force Awakens film. LEGO Star Wars: The Force Awakens will be released for the PS Vita, PS3 and PS4 in North America and Europe on June 28, 2016 both physically and digitally.